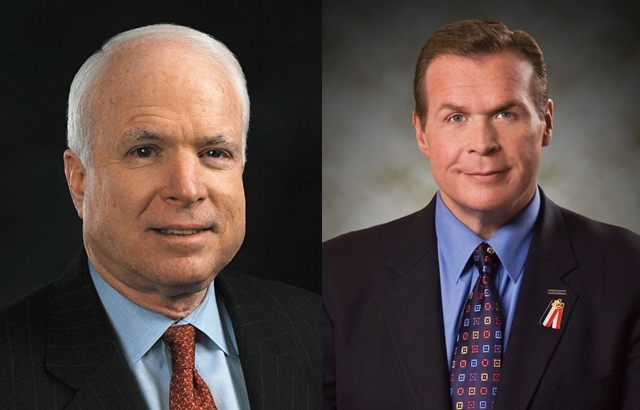 Sure, not all polls have put Hayworth as far behind as the poll had, but since April, the Rocky Mountain Poll has given the race a 19 point swing to McCain, as he’s now opened a 64-19 lead (MoE 5.4). I’m crossing this primary off the list of interesting races unless any new news happens. Anyways, I’m not really surprised by McCain having such a big lead, but I can’t help but wonder what caused Hayworth to drop to such a low level. I think the Free Money from the Government thing really hurt him, partially for principles and partially because it sounded demeaning. And since Hayworth’s biggest knock the whole time was that he wasn’t quite as serious as a John McCain, that hit him hard at his weak point.